A delayed $4 billion deal aimed at spurring development of Mongolia’s enormous Tavan Tolgoi coal mine has only a slim chance of going ahead, partly due to China’s slowing growth, one of the country’s chief negotiators said on Thursday. 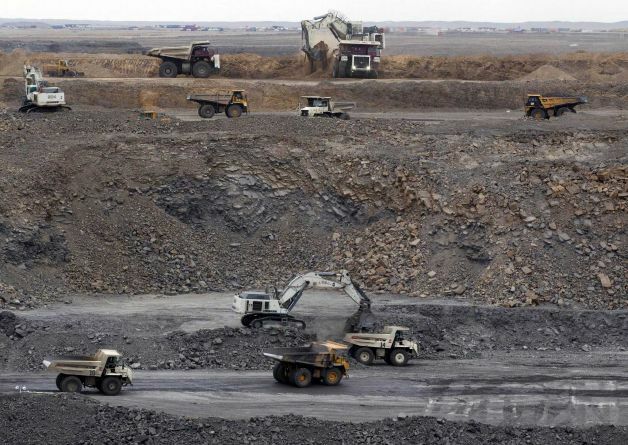 A plan for a consortium of Mongolian Mining Corp, China’s Shenhua Energy and Japan’s Sumitomo Corp to take over the operations of state-owned Erdenes Tavan Tolgoi was blocked by Mongolia’s parliament speaker in April, leaving the future of the deal in the hands of lawmakers. Minister Mendsaikhan Enkhsaikhan, who led the Mongolia’s negotiations with the consortium, told an investor conference in Ulaanbaatar he was pessimistic on the prospects of lawmakers clearing the deal. In addition to indecision by the government, the deal was threatened by economic troubles in China. “It’s not only because of parliament, but also because of the Chinese situation,” he said, noting the volatility experienced in Chinese markets. Mongolia relies on China to buy nearly all of its minerals and petroleum, which made up 86 percent of exports in the first six months of 2015. Slowing growth in China amid expanding supply worldwide has driven prices sharply lower for most of Mongolia’s chief exports, such as coal and copper, to more than six-year lows. Enkhsaikhan asked investors to be patient, despite growing frustration among those who have waited three years for the government to decide on a strategic partnership for the mine. Plans and agreements for mega projects like Tavan Tolgoi needed time to be approved because of the huge impact they have on Mongolia’s tiny $12 billion economy, he said. “Speed kills mega projects,” he said, pointing to the impact of data mistakes during the early stages of development.